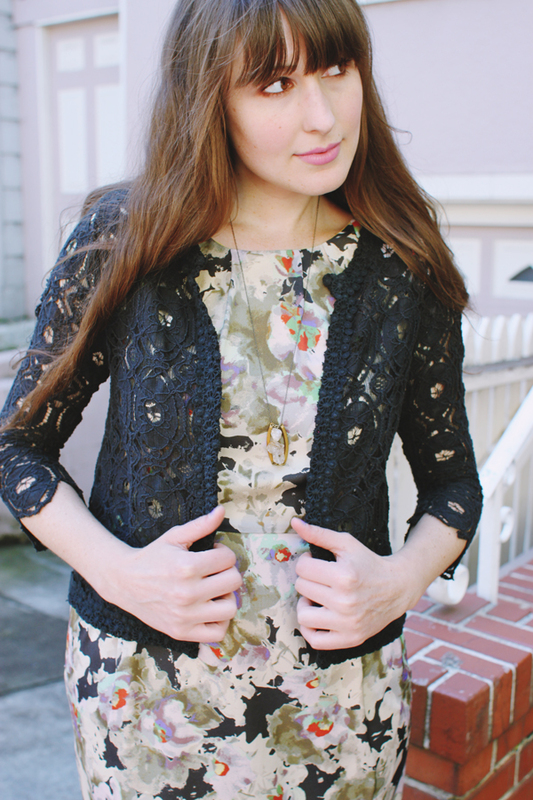 What could be more perfect than a gorgeous floral silk Marnie Dress paired with a black lace jacket? Perfect for work, perfect for going out, perfect for wedding parties. Chic but still playful, we love this look for every occasion. Classic DEMA. The shoes and the jacket are so pretty! Love this!